The story with this entry level Semillon is that in 1993, the winemaker actually forgot about a block of it. When they realized they’d missed picking it, they eventually harvested the block and then made a much more accessible, ‘do not hold, drink now’ version of the Semillon Tyrrell’s is famous for. If you don’t know (and I know many of you reading do), classic Hunter Valley Semillon is unique in that the best quality versions can be held for decades and while they’re not aged in any wood whatsoever, they acquire significant aromas and flavours as if they have been. They’re famous Australian white wines – distinct and unlike other Semillons produced around the world. When they’re young (like this easy, drinking version) they’re great with seafood and salads and after a few decades, the classic examples complement and stand up to rich dishes like lobster, trout, salmon or chicken. On the eyes, a medium lemon tone, it has quick legs and aromas of wet rocks, light lanolin, lime and Granny Smith apple. The palate is dry with medium plus acidity and good body. Flavours show tart lemon and lime citrus with green apple, a little wet wool, and tons of crushed stone minerality. Nuanced and delicate with balanced fruit and light alcohol, this wine is young, fresh, tasty and punches well above its weight. An excellent accompaniment to food. 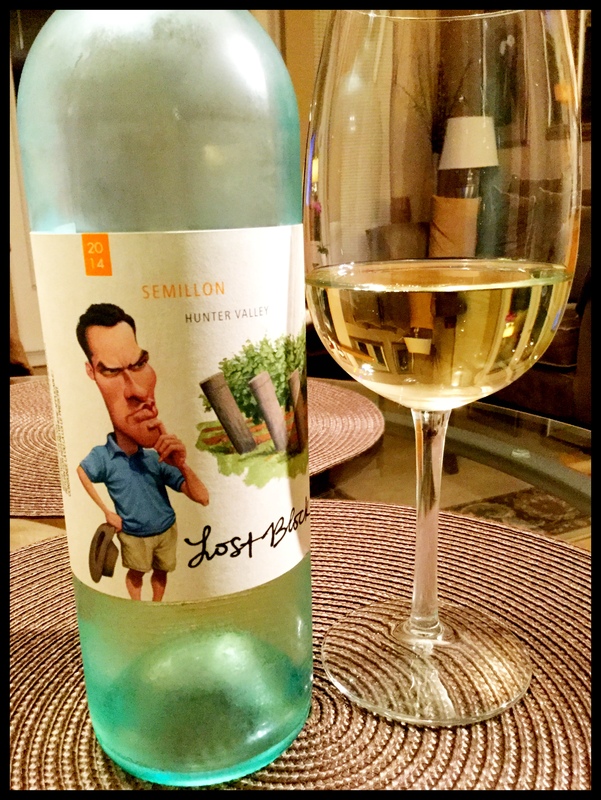 This entry was posted in Australia, OTHER, Semillon, WHITE and tagged 2014, Australia, Hunter Valley, semillon, The last block, Tyrrell's, white wine. Bookmark the permalink.